On my recent trip to Kenya I was lucky enough to see a lot of the well known Masai Mara wildlife starting with a classic wildebeest river crossing near our camp. Over the course of the week my hopes of seeing a rhinoceros gradually dwindled until the last evening game drive on the last full day we finally had a call over the radio that one had been found. Light was fading fast so we had to make a mad dash to get to site where we found the rhino in a scrubby hollow. With the poor light and uninteresting surrounds the photographic pickings were slim. I didn't really care as being in a place like this is not just about photography it is about the experience. This particular old gent is quite well known (the park rangers keep a close eye on him to protect him from poachers). He is a black rhino with an enormous scimitar shaped front horn and a tiny third horn in the middle of his forehead. He was calm and approachable and even stood still enough for me to get a few shots at a really slow shutter speed and reasonable ISO levels. I was thinking, as I watched, that seeing a rhino like this in the wild was a real privilege that I should not take for granted. Poaching has been taking a heavy toll on this magnificent member of Africa's big five. South Africa has been hit particularly hard. Government statistics show that 1004 were killed (this number includes both black and white rhino) in South Africa alone in 2013 which is some kind of record and more than double the figures for 2011. In 2007 the number was just 13. These numbers are not sustainable, especially for the black rhino. Black rhino numbers in all of Africa number around 4000 and white rhino's around 20,000 by current estimates so black rhino's are particularly vulnerable and have been hit hard in South Africa. Poaching numbers for the rest of Africa are harder to come by although Kenya reported 34 deaths for the first half of 2013. The South African numbers are high mainly because most of Africa's rhino populations are within that country, but poaching happens in other countries in southern and eastern Africa. So why the sudden increase in poaching and what is fueling the demand? The destination for most rhino horn is China, Vietnam and Indonesia. these countries have a growing and affluent middle class and a long history of traditional medicines using animal parts. 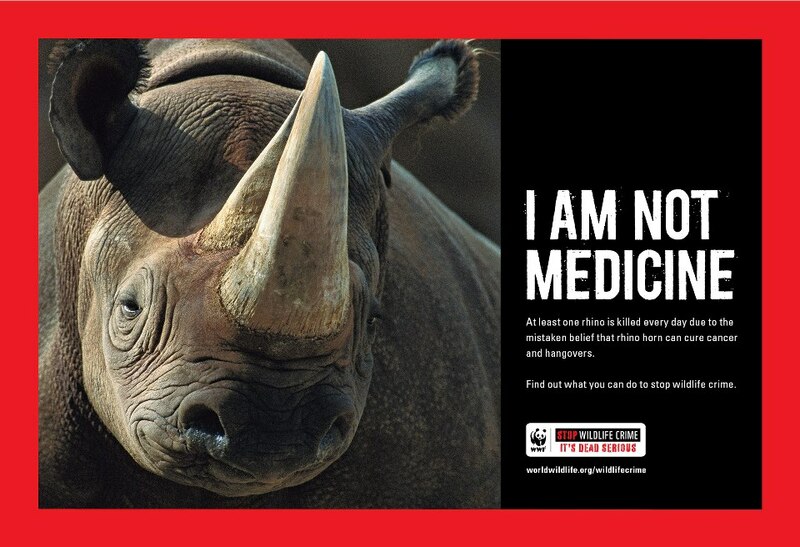 Chinese medicine has used rhino horn for at least 2000 years. In recent times demand from Vietnam has proved particularly damaging. The Javan rhinoceros which is native to Vietnam has already been completely wiped out by the trade. (Surprisingly rhino's in India have not been hit too hard despite proximity to Asia proving that effective government protection is crucial). The supposed medicinal usage of rhino horn (which is prepared by grinding to a powder) is mainly as a detoxification agent, anti cancer treatment and various other major or minor maladies. A classic sign that a supposed treatment is 'snake oil' is that it is marketed as a kind of cure-all. In fact all medical studies have shown that rhino horn does not live up to the claims. It has absolutely no value as a medicine. Hardly a surprise really given that the horn is in fact made up of the same sort of material as fingernails. There is clearly a need to educate people in the rhino horn trade in the destination countries about the ineffectiveness of rhino horn (and many other traditional medicines) as a form of treatment. Legalizing rhino horn trade to allow rhino's to be farmed (and wild rhino's to have their horns removed) has been advocated as a way of meeting the demand from legal sources with the idea that it will reduce the deaths of wild animals. Many column inches have been written by people more qualified than me about the pros and cons of such a move but my personal concern is that it may be a big mistake. Legalizing the trade again (it was banned in the 70's) I think would just legitimize it as a product in the eyes of potential consumer's. I am concerned that with legalized trade would come an increase in volume. The market will take over and prices may average at a much lower level than the black-market prices that are in play now. Lower prices could mean an increase in the consumer base that can afford the product (it is the preserve of the wealthy at the moment). There simply aren't enough rhino's to supply enough horn if we encourage an Asian middle class to use it. We need to encourage a culture of wildlife appreciation and conservation that may not be as widespread in countries like Vietnam as it is in western countries. It is understandable that Vietnam (like many other countries) has been focused on dragging millions of people out of poverty and building it's economy. Wildlife preservation probably has not been a priority for its people or its government - particularly the wildlife of foreign countries. It takes many years for developing countries to implement good regulations and enforcement procedures if there is no financial incentive to do so. Vietnam has a long way to go as the illegal wildlife trade in Vietnam doesn't stop with rhinos. Illegal tiger body part trade is another problem. A burgeoning environmental movement needs to be supported and encouraged. Publicity campaigns such as Jackie Chan's effective campaign in China are a huge help. Hopefully I will be able to see Rhino's in the wild twenty years from now but it will only be through the hard work of governments, environmental groups, scientists and the public that will make this possible. We can all do a small part to help by making donations to good organizations working to preserve our wildlife heritage. A fantastic place to start is with the Thin Green Line, an organization doing valuable work on the front lines of anti-poaching efforts.